Welcoming one and all to an event with a cause. FCC’s Women Empowerment Society in collaboration with Senior Biological Society, is holding a Pink Ribbon Day on the 20 October 2015 to mark the annual Breast Cancer Awareness day. Experts from Shaukat Khanum Memorial Hospital have been invited for an informative session on Breast Cancer while question/answer sessions will take place as well for your satisfaction. Apart from this, a few activities have been planned to provide you with a more thorough experience. 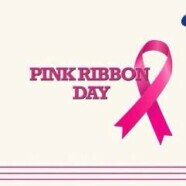 We’ll be giving out pink ribbons so you can wear one proudly and show you’re in the fight against breast cancer. We would request everyone to wear pink as we will also be having a human logo. For other attractions like movie night and bake sale, please click here to access our facebook event page. Spread the word! Looking forward to seeing you all. i want to volunteer in this, what should i do? Come to S block at 8:30 or 9am and talk to anyone from the management team.